small disco isn’t going to make things easy for you. So much of the band’s new album, floralscent, seems to intentionally be a little challenging. The band’s name and the album title are specifically lowercase, and several of the album’s songs are spelled with unpronounceable characters. Most importantly, however, the songs themselves are beautifully difficult. floralscent is completely awash in processed vocal sounds and synths. I, myself, can only make out a few words of any of the lyrics. However, I think I’d feel exactly the same about floralscent if it had no lyrics at all. Sometimes it seems as though someone is singing, but it’s so heavily processed that I can’t really be sure. None of this is a bad thing. In the hands of the wrong artists, these threads might be woven into an over-the-top, retrochic, blue slushie sugar rush. That’s not what small disco is about. Much like the best synthpop bands (think of Fischerspooner or the similarly difficult CHVRCHΞS), small disco has mined the history of synthy music, from Kraftwerk to Depeche Mode, and alloyed that ore with something distinctly modern. small disco doesn’t sound like the 1980s—it sounds like what 1980s society thought the future would sound like. "Hide UR Mind" is a standout track and a perfect way to kick the album off. The song evokes the loading screen of an 8- or 16-bit video game so much that I actually looked up the Contra soundtrack to see if it was being sampled. The vocals on this track are the most human-sounding on the whole record and feature a slightly unnerving whispering motif that sounds like a backmasked imp saying the word "testing." “Futile Things” is the lead single and maybe the album’s best track. I love that the song begins with sparkling, bubbly synth isolated entirely in the left channel. For just a moment, I wondered if my headphones were plugged in correctly. At about 11 seconds into the song, the other channel picks it up, but in a slightly different spot, creating an few seconds of syncopation before a sawtooth wave cuts across both channels, making way for vocals that would feel right at home on a Phantogram record. The track swims in this jagged slowburn for the first half before falling into a bouncy rhythm that will stick in your head like a virus. Spend some time in the digital haze of small disco’s floralscent and you’ll get flashes of synth-heavy soundtrack music, from Vangelis’s iconic Blade Runner score, to Cliff Martinez’s more recent work on films like Neon Demon and Drive. That the band’s name even includes the word "disco" is a little deceptive. The music is largely atmospheric, not really dancy at all. The songs flow into each other like moody anime scenes in a movie without subtitles or dubbing. 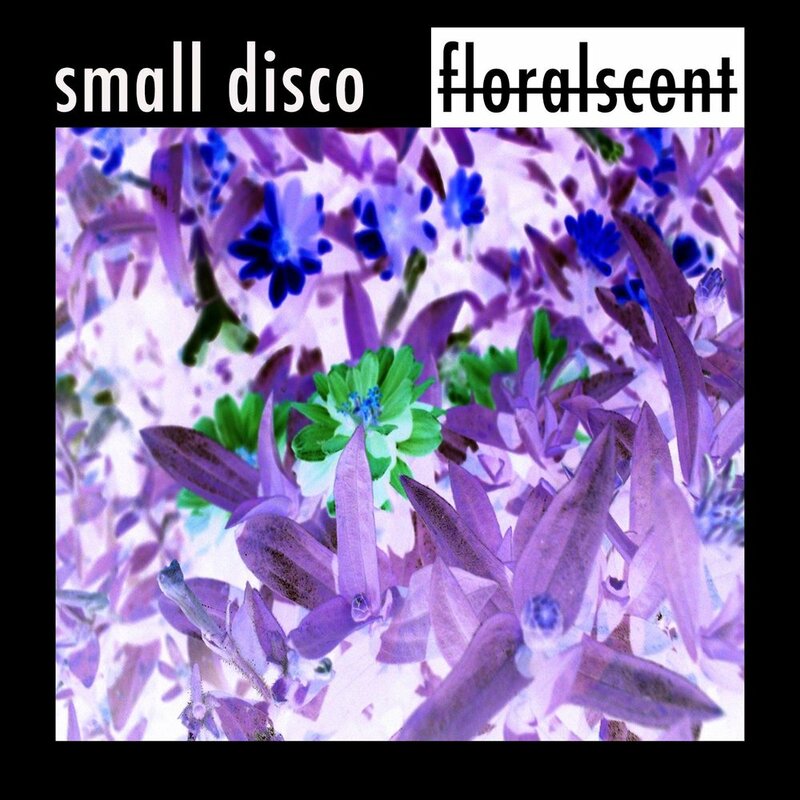 small disco may not be making this easy for you, but it’s still impossible not to love floralscent. I have no idea what the band is getting at with this record, but I love it and I cannot turn away.